AIADMK and PMK have sealed an electoral alliance for the upcoming Lok Sabha elections. As per the pact, PMK will contest in seven constituencies and one Rajya Sabha seat. AIADMK Coordinator and Deputy Chief Minister O.Panneerselvam said that under the AIADMK-led alliance for the 2019 Lok Sabha polls, "the PMK will support AIADMK in the assembly by-elections to be held in 21 constituencies." “This is a mega and strong alliance that will win in the Lok Sabha polls,” PMK Founder S Ramadoss told reporters. He said the party has submitted several conditions which AIADMK has agreed to fulfill. 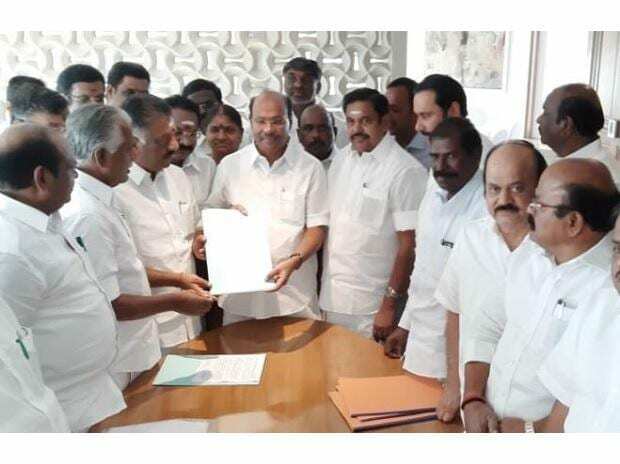 PMK's requests for AIADMK include declaration of Cauvery delta region as a protected region, a caste-based census; release of the seven persons convicted in former Prime Minister Rajiv Gandhi assassination case; implementation of old pension scheme for government employees, preventing Karnataka from building a dam across Cauvery at Mekadatu; waiver of farm loans and getting Tamil Nadu exempted from the common medical entrance exam or NEET exam. The development comes ahead of a likely announcement of a BJP-AIADMK alliance today. BJP President Amit Shah and Railways & Coal Minister Piyush Goyal are in the city today.